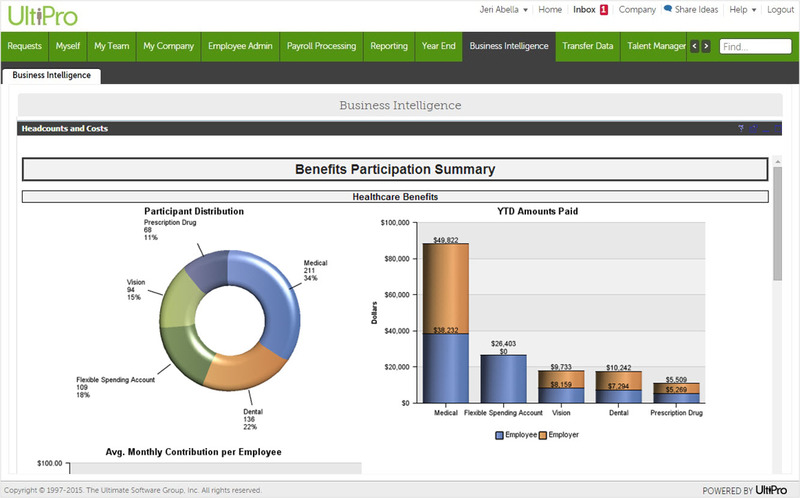 Gain complete visibility and insight into your entire workforce with UltiPro’s powerful reporting and business intelligence capabilities. Because UltiPro is a unified cloud-based solution for managing all areas of people management, UltiPro provides organizations with powerful workforce insight to help make smarter, more informed workforce decisions. UltiPro pulls data across all areas of human capital management, including HR, payroll, and talent management, delivering a holistic view of your people. Many HR organizations are looking for ways to harness the power of Big Data, which is groups of data so large that they become challenging to work with. By bringing together various data sources to better understand your people, you can make better workforce decisions for today and tomorrow.